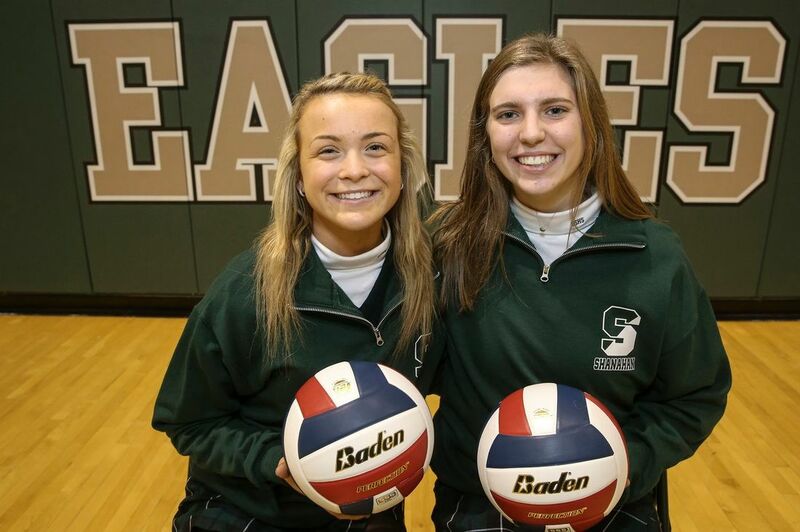 "Bishop Shanahan girls made more special volleyball moments in 2018"
Greg Ashman has been at the helm of the Bishop Shanahan girls’ volleyball program for the last 15 years. His teams have won 12 Ches-Mont League titles, seven District 1 championships and a state title in 2009. Though this year’s seniors fell just short of the school’s second state title, losing to North Allegheny in the PIAA Class 4A championship game for the second straight season, they will go down as one of the most accomplished groups Ashman has coached. During the last three seasons, Shanahan won three district titles, made three trips to the state semifinals and finished as the Class 4A runner-up twice. Division-I bound seniors Julia Thomas (Iona), Jules Gallagher (American), Alysa Wright (Bryant) and Michaela Devlin (Sacred Heart) guided the group along with junior Cara Shultz, another Division I recruit. All five play club volleyball together for East Coast Power in King of Prussia and brought that experience against elite competition back to Shanahan. “I think it helps to pull your other teammates who don’t know as much about that and to really be the leaders," said Gallagher, who is one of the teams co-captains with Thomas. Heading into their state playoff run, Shanahan had North Allegheny on its mind. With Shultz and two others injured last season, the Tigers swept the Eagles, 25-21, 25-12 and 25-16, in the 2017 championship match. After wins over Hempfield, Downingtown West and Parkland, Shanahan set up a rematch on Nov. 17 for the 2018 title. North Allegheny cruised in the first set, but Shanahan pushed the Tigers to brink in the final two sets, losing 25-15, 25-23 and 25-20. The Eagles were given some extra time to reflect on their accomplishments when their bus broke down a few minutes from the high school on their trip home from the state championship.